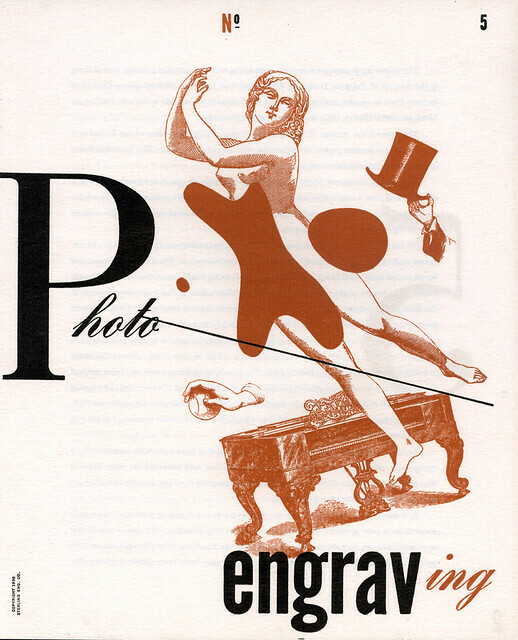 Surrealism is often described as the most influential of all twentieth-century art movements, writes Rick Poynor in Eye 63. Its poetic sensibility and way of perceiving reality is so pervasive that we take it for granted now. From the bursts of nonsense and deranged flights of fancy in contemporary humour to David Lynch’s disturbing journeys into the secret backwaters of desire, Surrealism has exposed the liberating power of the unconscious mind. 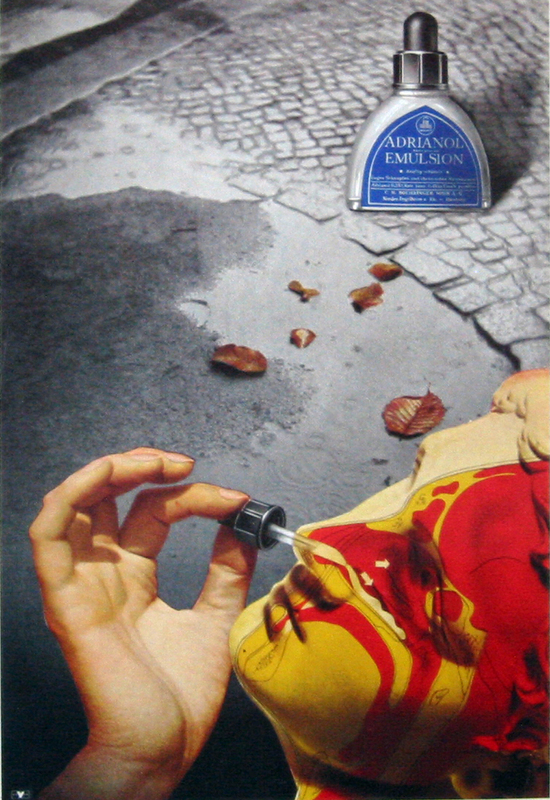 Top: Advertisement for Adrianol Emulsion nose drops designed by Herbert Bayer, 1935. 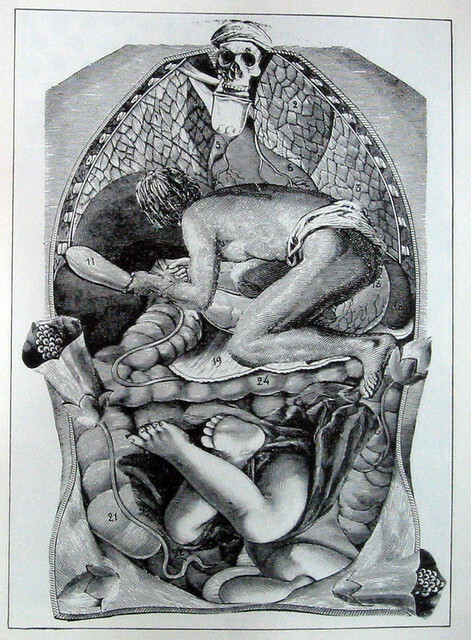 Above: Page from Une Semaine de Bonte [A Week of Kindness] by Ernst, 1934, showing one of 182 collages. 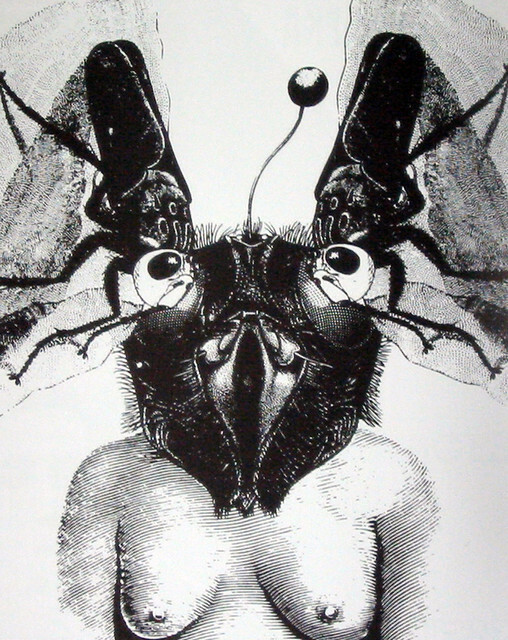 Above: Tluja, the village madwoman, by Roman Cieslewicz, 1962. Illustration based on the writings of Bruno Schulz. 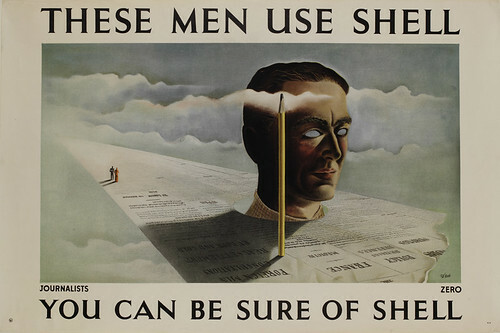 Above: Poster designed by Hans Schleger (Zero) for Shell-Mex’s ‘These Men Use Shell’ series, 1939. This is an extract from Rick Poynor’s essay ‘Dark tools of desire’ in Eye 63. The full text is here on the Eye website. You can also buy Eye 63 as a back issue.